Family Guy wallpaper. . HD Wallpaper and background images in the I Griffin club tagged: family guy family guy griffin stewie lois brian meg chris characters. i so want this m4 my wallpaper! !1 LOL!!! lol God with a gun! lol! 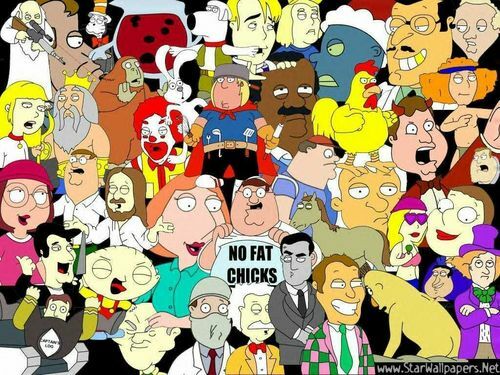 "No Fat Chickens" lol i <3 Family guy!!! I was laughing on Peter's chin!! !